Doc on the GBT balcony (fellow in the middle). 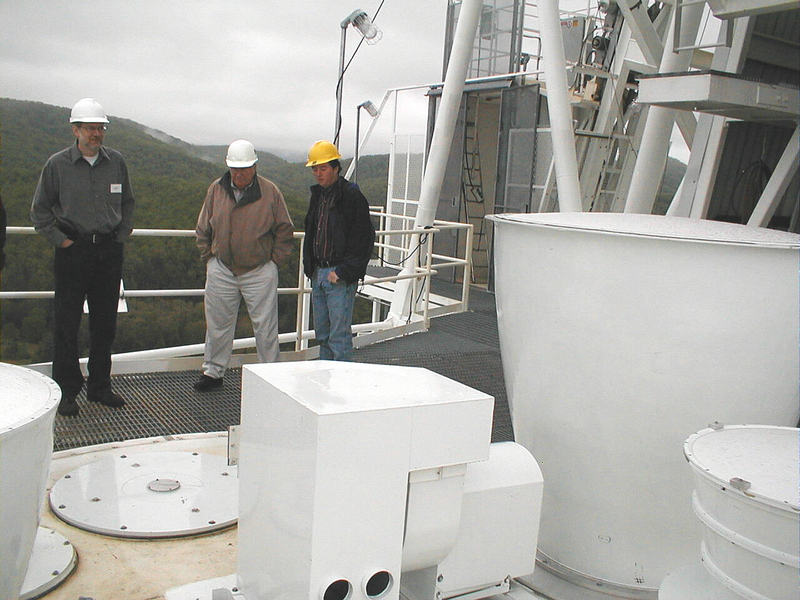 The large jug on the right is the L-band feed used for hydrogen studies. It appears to be larger than the original horn. Credit: Doc Ewen.